All prices are subject to Ashland's 5% meals tax. Parties of six or more will be subject to a 15% gratuity. Dal and Renee Carver opened the Wild Goose Cafe & Bar in 1999 with the goal of providing fresh, well-prepared food in a relaxed atmosphere for Ashlanders, visitors, and travelers. Wherever possible, we use local and Northwest products. All of us at "The Goose" thank you for joining us. We also thank our local providers, whose craft helps the Wild Goose present the flavors of Ashland. 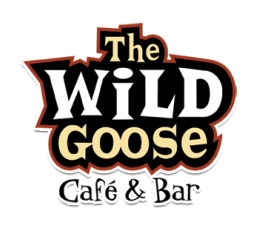 The Wild Goose Bar features live music 4 days/week, karaoke on Friday and Saturday, and open mike on Sunday.